What are your daily tasks at the internship? Every day on the job was different, as our samples fluctuate with the animals’ health and the veterinarian’s sample requests. However, in a given week, there was a lot going on in the vet lab that I do or have the opportunity to assist with. 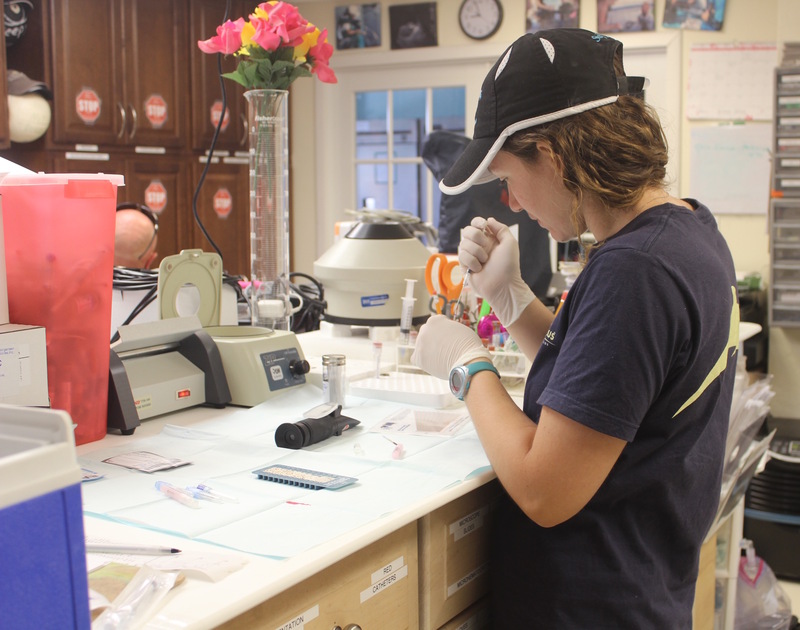 I prepared most of the medications our animals are on, created excels for different projects the veterinarians request, and prepared slides and samples to be sent out to various labs for further analysis. In addition, I run all of the in-house blood-work, which includes examining Total Protein (TP) to determine the levels of albumin and globulin (protein) in the blood; checking Packed Cell Volume (PCV), which measures the red cell count in the blood; testing chemistry levels, which explains levels of sodium, potassium and other components of the blood; and making blood smears, which provide vital information about the types of white blood cells in the blood. Occasionally, some of our animals have medical procedures, which I have also had the opportunity to observe and assist with. What are your takeaways from the internship? I think one of the main takeaways I have from this internship is an understanding of how connected the different aspects of this field are to one another. Veterinarians rely upon trainers to build relationships with their animals in order to get samples. Trainers rely upon the veterinarians to keep the animals healthy. Researchers rely upon both teams to bring new insight to the scientific community. Coming into this internship, I was uncertain as to whether I wanted to pursue a research career in marine science or attend veterinary school. 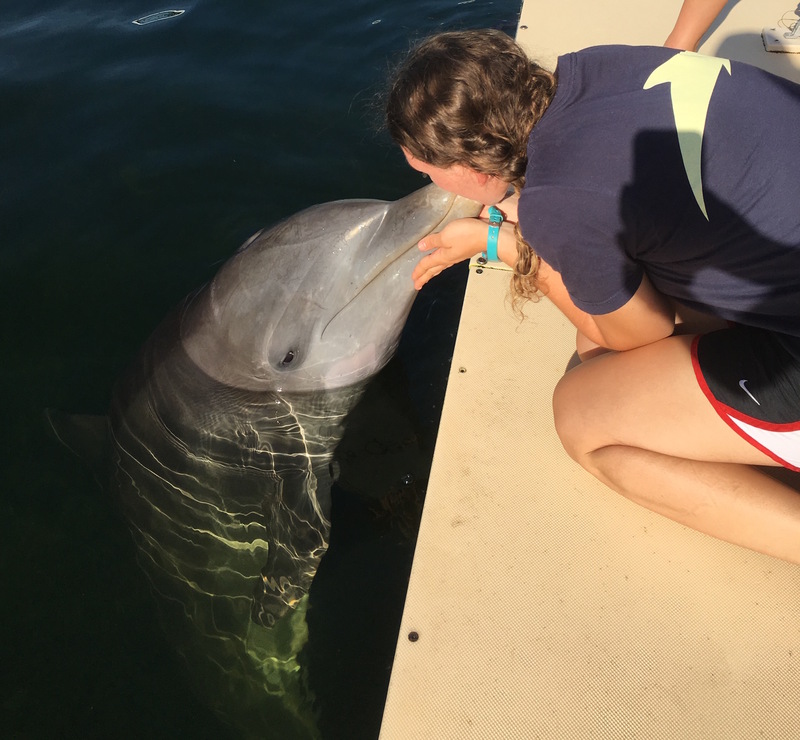 Now that I have spent three months in the vet lab at a dolphin facility, in addition to a few weeks with the research department, I realize there are ways to do both. I have learned that having some form of additional education is critical in having a successful career as a marine mammal veterinarian. Therefore, my plan after graduation has become clearer. I hope to graduate school with a degree in marine science, acquire additional animal experience, and then attend veterinary school. My favorite moment was the first day I was cleared to go in the water and swim with the dolphins. Being able to look them right in the eye, rub their backs, and interact with them was such an incredible experience. They are magnificent creatures with so much to teach the world, and I love every second I get to connect with them. However, putting the occasional kisses from dolphins and sea lions aside, if I were to just look at veterinary experiences, I think my favorite moment would have to be running the ultrasound machine while we were administering a catheter into one of our dolphins as part of a CT procedure. I was right in the thick of the action with all of the trainers and vet staff. It made me realize that this is what I want to do in the future. Any advice for other Princetonians who also share a passion for the unusual? Don’t be afraid to utilize University resources to find what you are interested in. Even if the opportunity is not presented to you (as will be the case about many internships through Princeton), go hunting for what you are interested in. 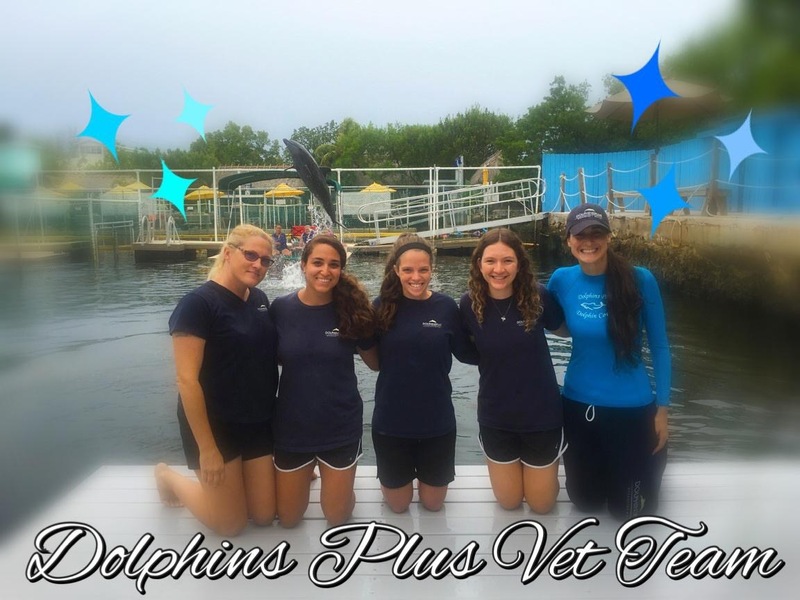 Before securing my internship at Dolphins Plus, I searched online for veterinary internships and marine mammal internships all over the world. I also visited career services and talked with older students to see if they had any suggestions as well. Plus, if you find an internship, conference or some other interesting opportunity outside the University, Princeton is really good about helping to fund those experiences. All in all, if you have a passion for something and are willing to take initiative to find something cool, Princeton will help you make it possible. 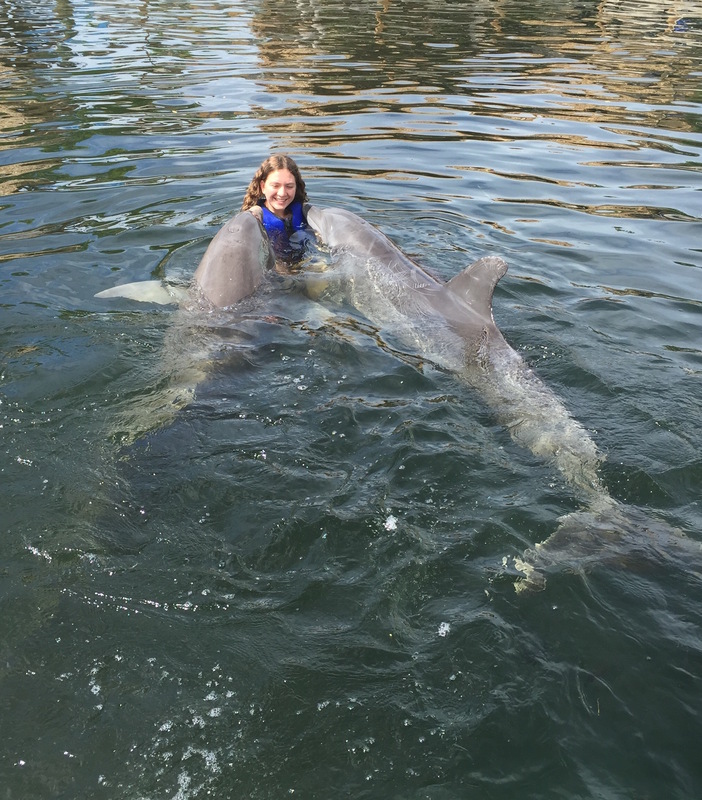 One of the main missions of Dolphins Plus is to promote the protection and conservation of marine mammals through education, research and experiential learning. Before every swim experience, we give our guests an educational briefing in which we inform them about basic dolphin anatomy and the importance of protecting these animals through different forms of conservation. Therefore, this interview would not be complete without extending some of that information to you, the reader, because the more people who receive this message the greater the impact on the marine environment and marine mammals. While Atlantic bottlenose dolphins (Tursiops truncatus) are not currently threatened, many other marine mammal species are. Consequently, there are simple things that everyone can do to make a difference in the future of these species such as eat sustainable seafood (http://www.seafoodwatch.org/), do a beach clean up, and even recycle. Small acts of conservation can make a big difference.